Most new strategies, processes, and services are introduced in the hopes of easing the lives of customers and making the customer journey as effortless as possible. A goal that's easily obtained with advances in tech. In this day and age, every industry is constantly looking for ways to modernize services. With the introduction of technology, opportunities emerged that didn't previously exist. So, it's no surprise that the customer service industry has, too, been incorporating modern technology shifts. One specific customer service technology that has been introduced in the past decade is Voice over Internet Protocol (VoIP). 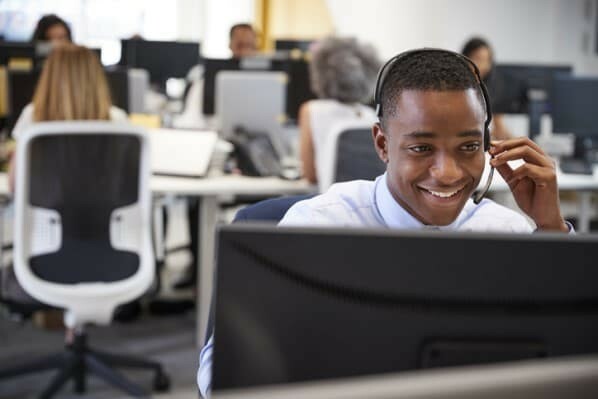 VoIP call center phone systems continue to grow in popularity due to the unique benefits it can provide a customer service department. VoIP is a technology that allows you to make phone calls with a broadband internet connection rather than a typical, analog telephone line. It works by converting your voice into a digital signal that's passed through the internet. Since it uses the internet, you don't need a phone during the voice call. VoIP calls can occur from VoIP phones, computers, or phone adapters. The digital signal can travel straight to another computer or VoIP phone, or convert into a normal telephone signal if contacting an analog telephone. You can even make calls wirelessly through WiFi. Depending on your service provider, you may only be allowed to call other VoIP subscribers. However, most companies that invest in VoIP service ensure that you can contact any phone number, regardless of distance. A VoIP call center phone system is a VoIP calling software that's designed to handle the call volume of an entire call center. Unlike traditional analog phone lines, VoIP technology uses broadband internet to connect the customer with a company. 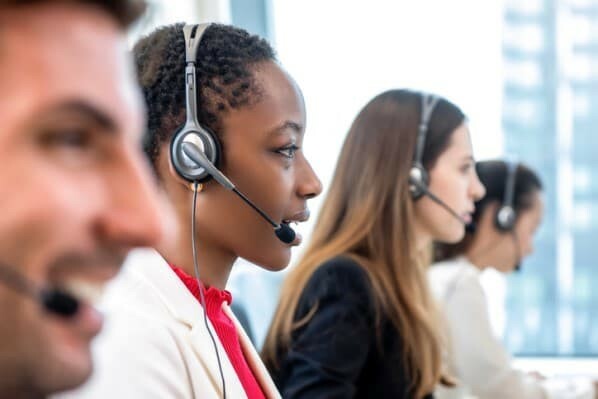 These systems help organizations manage and distribute large amounts of incoming and outgoing calls being made to its customer service teams. At Verizon, a traditional, unlimited mobile plan ranges from $40 to $60 for four lines per month. A landline home plan starts at $79.99 per month. A business VoIP plan starts at $35 per line per month for one to ten lines and can go as low as $25 per line per month for 21+ lines. Clearly, you can see the difference in price between an analog phone plan and VoIP phone service. Many companies have made the shift due to this cut in cost for communications. In many cases, VoIP can even be free. After all, if you have a computer, microphone, speaker, and WiFi connection, you can likely find and use a free VoIP service. VoIP phone service offers all the same features included in your traditional phone plan: voicemail, caller ID, call forwarding, three-way calling, and more. Plus, it offers even more features, such as the convenience of being able to connect these features to a computer or other device. Your employees can take or make calls and listen to voicemails straight from their computer, laptop, or tablet. VoIP hit peak popularity back in 2003 when Skype was founded. This app allows you to make video conference calls and phone calls and share instant messages. The ability to use these services for free was revolutionary and a key aspect of VoIP that cannot be accomplished by traditional phone services. 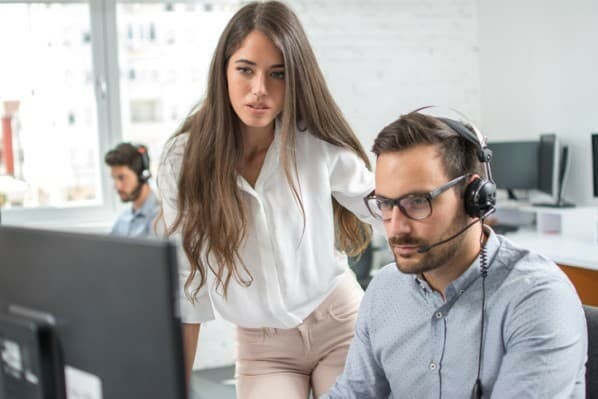 Now that you know the best reasons for switching from a traditional phone plan to VoIP phone service, consider the following VoIP service providers to find the best option for your business. RingCentral offers all of the best VoIP features in one, inexpensive product. It includes such features like faxing, video meetings, conferencing, call logs, instant messaging, and more. 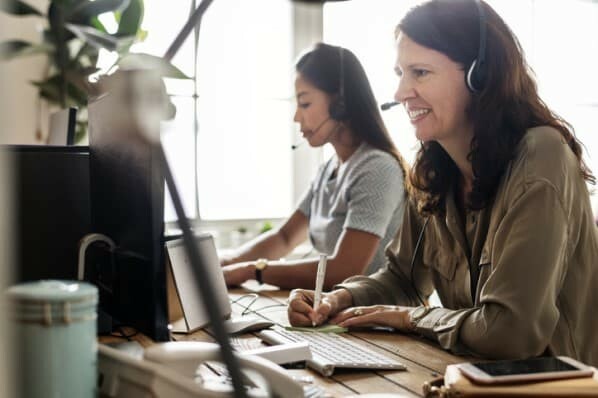 RingCentral even has artificial intelligence integrations and unlimited calling and conferencing tools that make it a winner among businesses. The most popular plan is an annual plan of $34.99 per month, which includes unlimited users, 50 people video calling, and 2,500 toll-free minutes. Nextiva offers unlimited calling, voicemail access on email, auto attendants, and even an app that helps you access the service on-the-go. The company offers 24/7 support, so you can always access the support you need. Plus, you can choose your own caller ID and access HD video calls across the nation. The most popular plan is a monthly plan that starts at $20.95 and includes Cloud PBX, unlimited calling, free local and toll-free numbers, text messaging, Nextiva mobile app, and more. 8x8 X Series is one cloud solution for voice meetings, call centers, and collaboration. It has advanced features, such as extension dialing, ring groups, call recording, faxing, video calling, and web conferencing. The product has a global reach across 47 countries, allowing for a more unified, international service. 8x8 X Series Cloud Service products have easy setups that allow for capabilities from telephones, computers, and mobile phones. The most popular plan is X Series X4, which is $48 per month per user and offers unlimited calling, HD voice, Team Messaging, up to 100 participants in video conferencing, analytics, and more. Vonage offers a unified communications platform that helps you connect with customers via voice, text messaging, chat or video. You can easily transfer between desktop and mobile devices using the mobile app. The VonageFlow feature allows for instant messaging, texting, and file sharing on one platform. 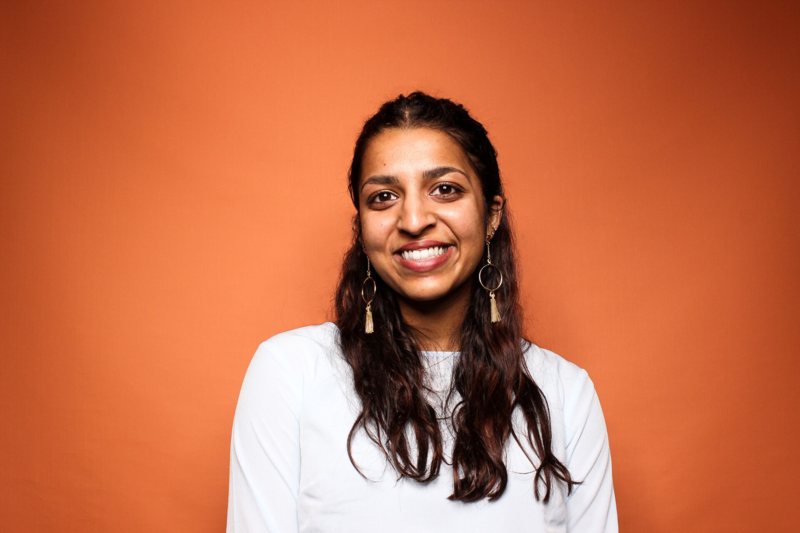 Vonage also offers SD-WAN, which provides an additional, reliable bandwidth to help maintain a strong connection during busy seasons without the extra cost. The most popular plan is $27.99 per month per line for 5-19 lines and is optimal for traditional work environments. It includes unlimited calling and texting, mobile and desktop apps, VonageFlow for up to 100 people, and a multi-level auto attendant. VirtualPBX offers customizable plans that fit the size of your business, whether it be one or 1,000 employees. Features include auto attendant, ring groups, custom greetings, and the Real-Time Monitor, which helps you view which team members are busy or available at any given moment. The special Dash features come with 4G LTE mobile, faxing, and hot desking, which allows you to stay connected even when you have to move between workstations. The most popular plan is a monthly plan of $26.99 per user per month, which includes 2,500 toll-free minutes, two phone numbers, one VoIP device per user, and more. For more information about building up your call center, read about the best call center headsets.